Designs have been revealed for the ambitious £12m regeneration of Hebburn town centre and the creation of a state-of-the-art community hub. 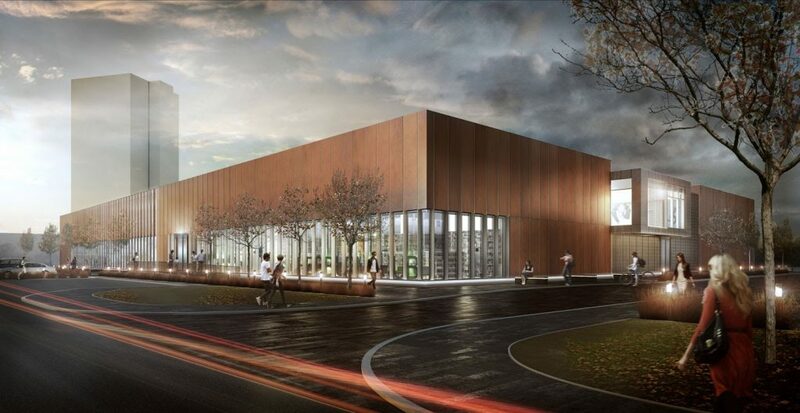 In collaboration with South Tyneside Council, architects FaulknerBrowns have been commissioned to redefine the town centre of Hebburn, drawing on the industrial heritage of the area as well as catering for the social, educational and sporting needs of the local community. 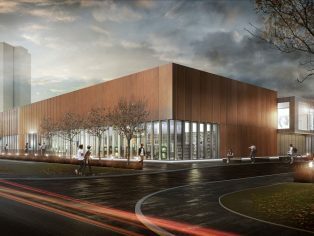 The transformation consists of a 25 metre six-lane community pool, a dry sports facility, fitness suite and multi-purpose dance suites. Also included is a new 450sq m library, a GP consultation suite, physiotherapy treatment rooms, along with a café area and retail space. Proposals for external sports facilities and gardens are also being considered to help bring previously disconnected community facilities together in one place. “The hub is aimed at creating a modern town centre for the whole community that acknowledges Hebburn’s proud history. Construction of the hub started in November 2013 and the building will be complete by summer 2015.